Shared web hosting is fading fast because many shared hosting companies oversell their servers and stack thousands of customers onto the same web serve. The result is reduced reliability of the server and services. As an alternative to shared web hosting, Virtual Private Servers, or VPS hosting, is now a popular web hosting choice for many businesses and individuals. Much of the increase in popularity is due to advancements in virtualization technologies which has increased VPS performance and functionality. However, there are many more benefits when you choose this web hosting solution to host a website or application. VPS hosting solutions are an economical option for all size websites. 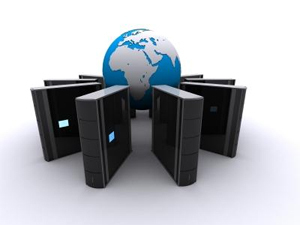 A quality virtual web hosting provider will offer direct support from the server’s administration team. The prices for packages vary, but you can get a basic account at a very cheap price. Also, many VPS packages include control panels [charged extra] that will take care of all your maintenance and management needs. VPS hosting is an ideal choice when looking to upgrade from a shared hosting package. For large websites with a large number of visitors, virtual private server hosting may not be the best solution because these large sites will have a big demand for resources which will require an entire server, or multiple servers.